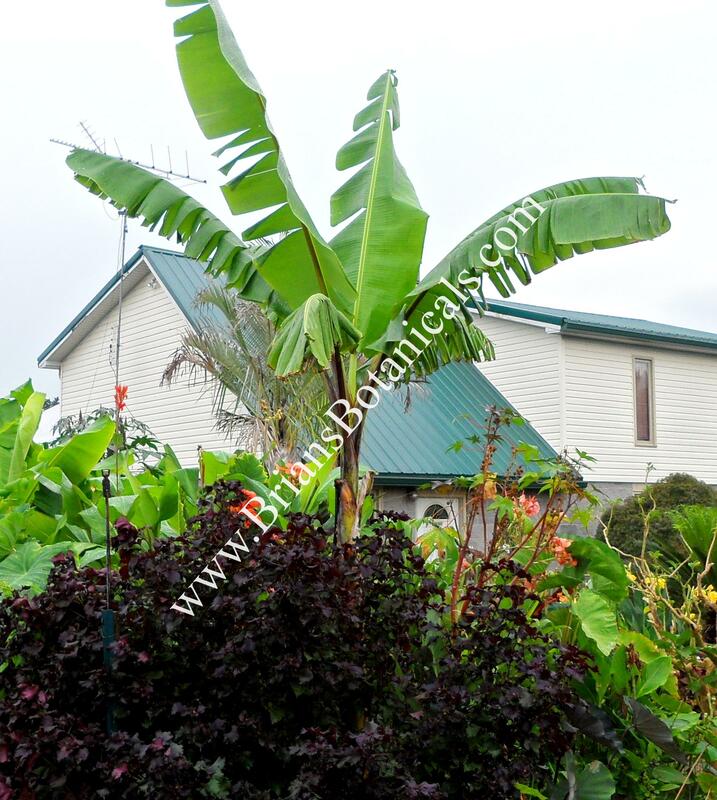 Musa Thai Black is a tall grower, reaching up to 25 feet in warm climates. The foliage is a dark green often covered in a light white powdery substance. We have found the foliage to be tougher than most Musa species and less likely to split. The leaves also hold themselves in an upright state unlike other Musa species. The most dramatic feature of this plant in the pesudostem, commonly referred to as the trunk. As the plant matures, the trunks become dark almost black in color. I found that the sun effects how dark the pesudostem gets. In full sun plants have black trunks with dark green foliage at the top. This plant is a colorful feature for any garden or garden display. 7-10 Hardy zone6 with heavy mulch around trunk. Tested 6 years in KY but mulched 12 inches. Regular watering with good drainage. Species China and Tropical Asia. We are currently taking orders that will be shipped out in the spring. The earlier your order is in the earlier it will go out. We will start shipping at the end of March and will have all the orders shipped out by May! See FAQ’s for more details.